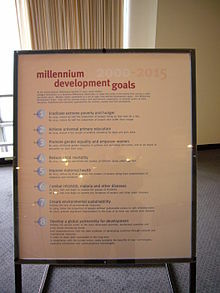 ↑ "United Nations Millennium Development Goals". Un.org. Retrieved 2017-05-23. ↑ Marilyn Harrington (9 May 2008). "Preschool education in Australia". Aph.gov.au. Archived from the original on 30 December 2011. Retrieved 21 January 2012. ↑ "Variation to School Age Entry Enrolment". Queensland State Government. Retrieved 21 January 2012. ↑ "Policies and Implementation Procedures for the education of Gifted students" (PDF). NSW DET - Curriculum Support. Retrieved 21 January 2012. ↑ "Tasmania - Department of Education Early entry into kindergarten for young children who are gifted". Education.tas.gov.au. Archived from the original on 24 March 2012. Retrieved 21 January 2012. ↑ Madonna King (21 January 2012). "Kids back to School with New Issues". Courier Mail. Retrieved 21 January 2012. ↑ "Education in Nova Scotia". Relocatetonovascotia.com. Archived from the original on 2013-02-04. Retrieved 2014-01-16. ↑ Čeština. "Freedom of Panorama in Europe in 2015 - Meta". Meta.wikimedia.org. Retrieved 2017-05-23. ↑ "Primary Education". www.edb.gov.hk (in ਅੰਗਰੇਜ਼ੀ). Retrieved 2018-02-08.